Ask fellow campers about "Cross's Campgrounds" and nearby attractions. It was Memorial day weekend and we needed a campsite for a 37' MH Sunday night, the owner had one opening and saved it for us. The site was a bit sloped so we could not open our slide-out but it was still much better than where we were previously. 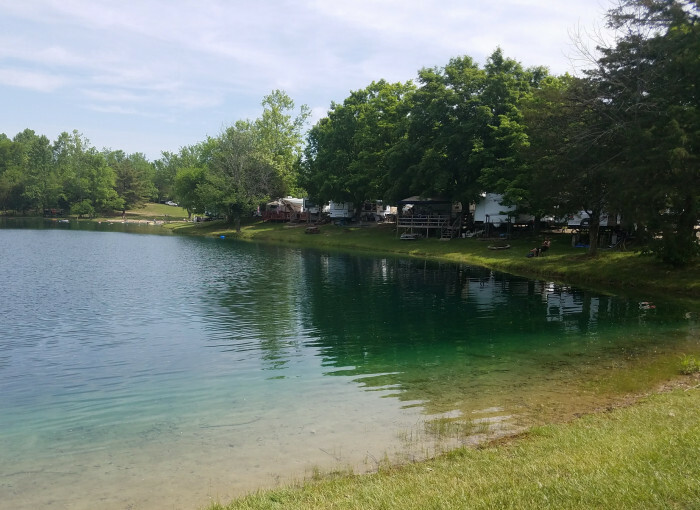 The campground is very nice, lots of trees and a small lake. There were lots of permanent residents but no complaints. We literally "rolled" out of bed in the morning and headed to our next destination. 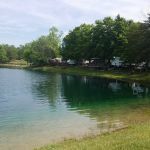 We camped at Cross's Campgrounds in a Motorhome. Maid-Rite Sandwich Shoppe, 125 N Broadway St, Greenville, OH 45331 is about 30 miles north, so if you're headed that way, it is certainly worth a stop. Checkout the "gum" wall and get some Little Kings with your burgers. Are you affiliated with Cross's Campgrounds ?